Join us as for an end-of-the-week surf session with people of all skill levels, and all sorts of crafts. 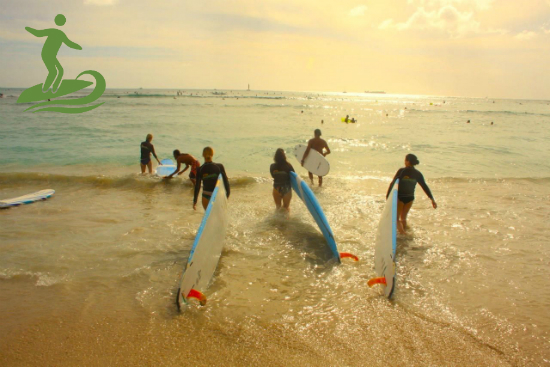 Grab a board, trade with your friend, catch a wave and end the week with a couple smooth slides across Waikiki. Our surf crew will make sure you are safe and having the time of your life. Stick around after for couple Happy Hour beers at Knots Café to share more stories and laughs with your new best friends.